Many people are starting to get in on the trend of thermal curtains. These special drapes help keep a room warm but they have plenty of other benefits as well. Here are the top five uses for this type of curtain. 1. Keeping the heat inside a room. This is the biggest draw of these curtains and also what they are named for. It still remains the number one reason people buy them. The curtains are thick and designed to create a seal around the window. This helps prevent cold air from outside drafting into the room. It also keeps the air you have warmed with your heater inside the room so you don’t pay to heat the great outdoors. 2. Keeping light out of the room. Because these curtains are so heavy and thick, they are also good at keeping light out of the room. Some people buy the darkest colors available and use them as a way to block light in a room that is way too sunny. They are particularly useful for people who sleep during the day, such as those who work night shifts. Putting these curtains in your bedroom can trick your body into thinking it’s nighttime outside so you can get a good night’s sleep even during the day. 3. Keeping the room cooler. Thermal curtains are known for keeping the room warm but they can also be used to keep a room cool in the summer. Keeping the light out means keeping the sun out as well. A room that gets direct sunlight during the day can heat up pretty quickly. Using these curtains during the sun’s hottest times can prevent the room from becoming stuffy, which also helps you cut down on your cooling bills. 4. Keeping the peace in shared rooms. You can also use these curtains as a room divider. They are thick and heavy enough to provide some privacy so that each person can have their own half of the room without viewing the other. They can also be used to block out the light in the case of conflicting sleep schedules when one roommate needs to sleep during the day. 5. Decoration. 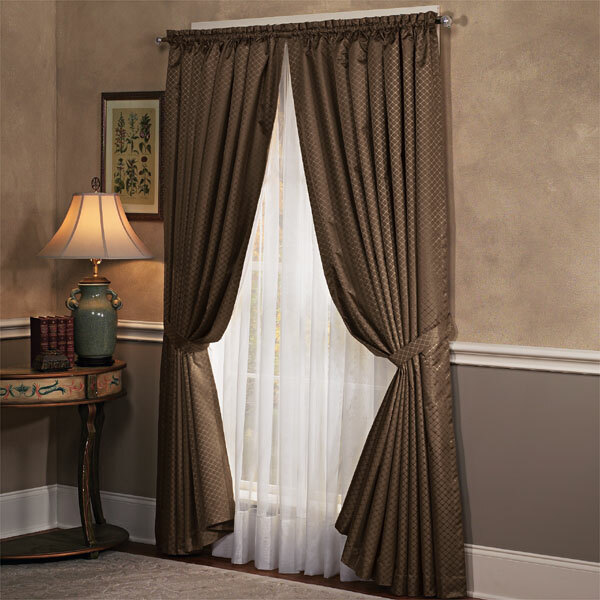 A lot of people tend to associate this type of curtain with being unattractive. In reality, only the cheapest options pay more attention to function than form. Plenty of other types are available that are attractive additions to the room and serve as décor in their own right. It’s not hard to find light-blocking curtains that match your room or colors if you look around.